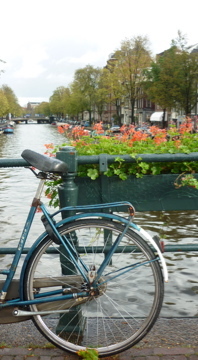 Riding on the tram out of Amsterdam centre, my eyes are glued not on the cutting edge architecture or ancient canal houses which this city is so famous for. 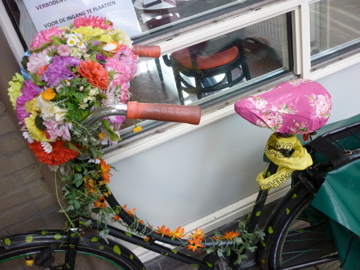 It’s the bikes I can’t tear my eyes off, not just their sheer numbers or even their chic riders, it’s the bikes themselves, they have style! 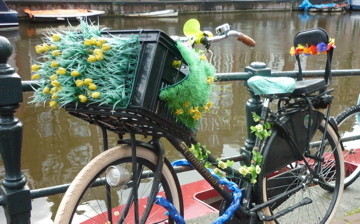 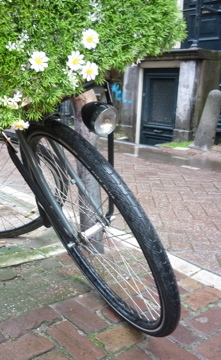 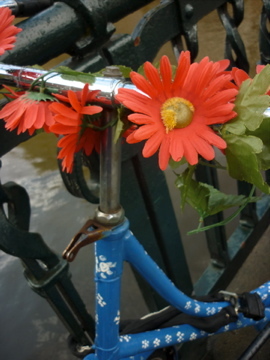 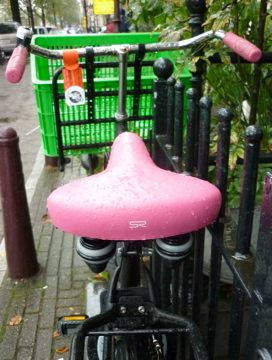 Amsterdam residents clearly take much enjoyment in the decoration of their bikes, the more colour, bling, fake flowers and kitschery involved the better!